When business-savvy Colin Sanders and his original partner Paul Bamborough started their business developing electronic control systems for pipe organs in churches, they couldn’t possibly have foreseen their incredible influence on the recording process – and the sound of a period in music-making that you either love or hate. The SSL desk fundamentally changed the working practices of nearly everyone working in the mainstream music industry from the 1980s. The seeds of the total recall and automation that we now take for granted were sown at Solid State Logic’s own staff recording facility, Acorn Studios. In the mid-70s they’d come up with the idea of using a computer to automate the desk that they’d designed and built for Acorn, and this led to the launch of the first SSL 4000B series at the Paris AES show in 1977. The SSL was radically different from anything that had gone before. Every channel had its own compressor and noise gate, and the centre panel that housed the VDU and QWERTY keyboard enabled you to take a snapshot of the desk to be recalled at a later stage, by carefully matching the settings on the desk to those stored on the eight-inch floppy disks that were used by the first E series computers. This new-found functionality delighted record companies and producers alike, as tracks could be recorded and mixed, and the mix settings saved and then revisited later if the A&R man thought the lead vocal needed a further nudge, for instance. 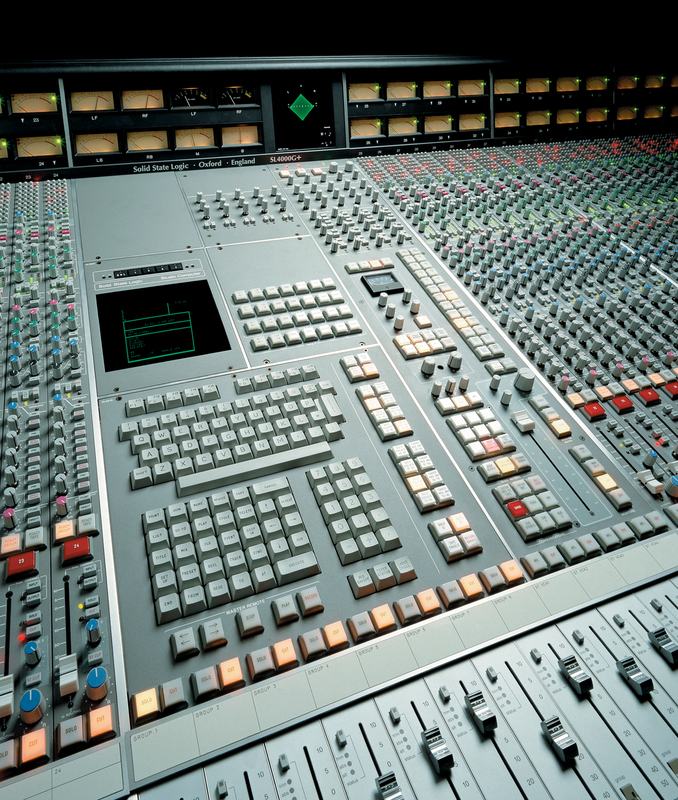 It wasn’t long before the SSL became a ubiquitous feature in the world’s recording studios. Like any desk, the SSL had its own unique sonic character – one that delighted some and offended others. The EQ was considered harsh in comparison to the Neves and Tridents of the day, while others loved the brightness of the desk, which was out of keeping with the ‘tweed’ of SSL’s competitors. SSL developed four different channel EQ modules in the 80s: the O2 type (brown knob), 232 type (orange knob), 242 type (black knob) and the 292 type (pink knob), with the latter two the most popular these days. The fact these desks are still around – and holding their value – is testament to their design and build quality as well as their unique sound. 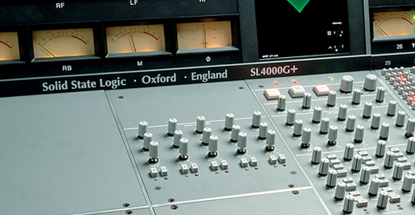 The SSL helped to define the sound of PWL Studios, the home of Stock-Aitken-Waterman. It suited their production-line style of working but there were many others who embraced the digital revolution. Hugh Padgham’s drum sound was the zeitgeist of the late 80s. SSL developed a reverse listen mic input for the centre panel, which had a whopping great compressor over it, so that a single mic could be placed in the live room for people to communicate with the other side of the glass. He accidentally opened this up when Phil Collins was banging away in the live room and the sound leapt out at him. Adding an in-line noise gate to the signal path, he gave birth to the gated drum sound that plagued us for so long. No other mixing desk has ever had such a profound effect on the wider music business; indeed, it could be said that the SSL’s contribution to our modern musical world has been as profound as that of the multi-track tape recorder. Other manufacturers quickly followed suit with now-standard features like automation and total recall, but none managed to be synonymous with the computerised mixing desk to the same extent that Solid State Logic was – and still is.